PAWTUCKET, R.I. -- Through seven innings of work Wednesday evening, Brandon Workman had allowed only two hits and faced three batters above the minimum, needing just 79 pitches. Unfortunately, both hits were solo home runs. Workman then proceeded to allow home runs three and four of the game to lead off the eighth, sending him to the showers after 87 pitches. While the final line may not indicate it, Workman was near-dominant in the start and was at his best since being sent down to Triple-A on April 9. 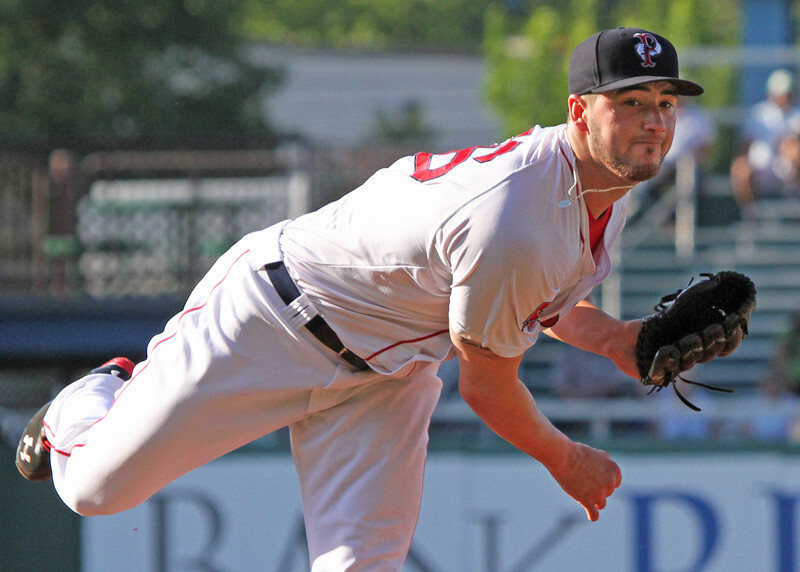 He was the first starter this season to pitch into the eighth inning for Pawtucket. Workman struck out five in the outing to go along with one walk. His fastball sat 90-92 mph on the McCoy Stadium radar gun, and he leaned on the pitch early in the game, setting up his curveball and cutter in the later innings. That “guy” is 36-year-old Mike Hessman, who had hit 395 career minor league home runs entering the game. Hessman had the first two solo shots off Workman, Toledo’s only hits of the game entering the eighth. After establishing the fastball, Workman featured his 75-78 mph curveball pretty heavily in the middle and late innings. He had some trouble throwing it for strikes at times, but it was very effective other times when it got batters swinging, as he induced two swinging strikeouts and another groundout with it. Though he used the changeup sparingly, Workman was not afraid to use his other three pitches in any situation and featured all three with regularity. Using all of his pitches and learning to mix them effectively has been important in his transition back to the starting rotation after spending most of the second half of last season and first half-month of this season in the bullpen. Moving back into the rotation, Workman’s transition period seems to have played out. Workman has now given up at least three earned runs in four of his five starts while building up his innings total. But looking deeper, his last two starts in particular have been strong — he struck out 13 and gave up just eight hits over 12 2/3 innings. Taking a step forward each time out has been the focus, and so far Workman has been successful. There are still questions about whether Workman may be ultimately better suited for a bullpen role in the majors, but if he continues to pitch the way he did on Wednesday, then it will be awfully hard for the club to move him back into a relief role anytime soon. He faces stiff competition for spot starts in the all-prospect Pawtucket rotation, but if he continues to pitch well, Workman’s track record could give him a leg up for the time being.